Generation Zero hosted an event to explain their report into this broken policy and the potential benefits of fixing it. Instead of raising the prices, we could be reducing it and encouraging more people to use public transport which helps reduce congestion for everyone. We heard about two students who could carpool and drive into the city for less than catching the bus - they choose not to because of the environmental impacts but not everyone has the same choice. Let's make it cheaper for students to do the right thing, not more expensive. 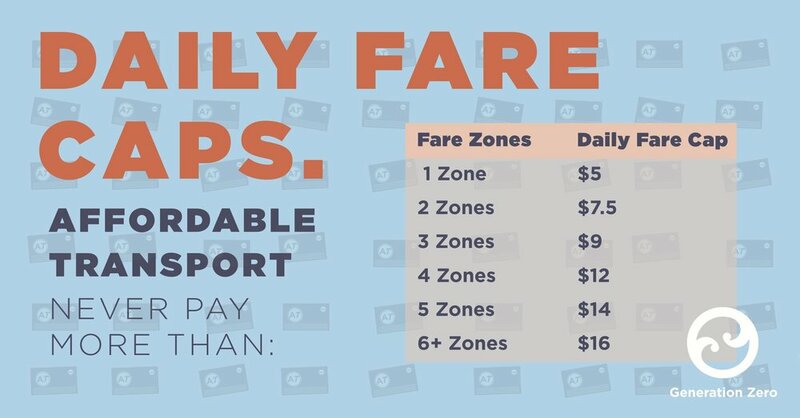 We can do better - free weekends, providing cheaper public transport for tourists (like so many cities do), reducing the barrier to Hop cards and making it easier for families to travel together are just some of the ways we can improve access to public transport. Making off peak services free wouldn’t add additional cost to the network. Check out this link for more details and ways provide feedback and support.